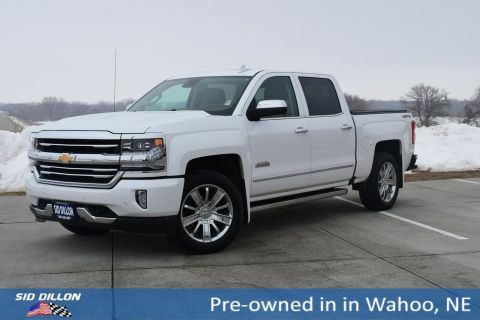 Audio system, Chevrolet MyLink Radio with Navigation and 8 diagonal color touch-screen, AM/FM stereo with seek-and-scan and digital clock, includes Bluetooth streaming audio for music and select phones; USB ports; auxiliary jack; voice-activated technology for radio and phone; featuring Apple CarPlay capability for compatible phone. 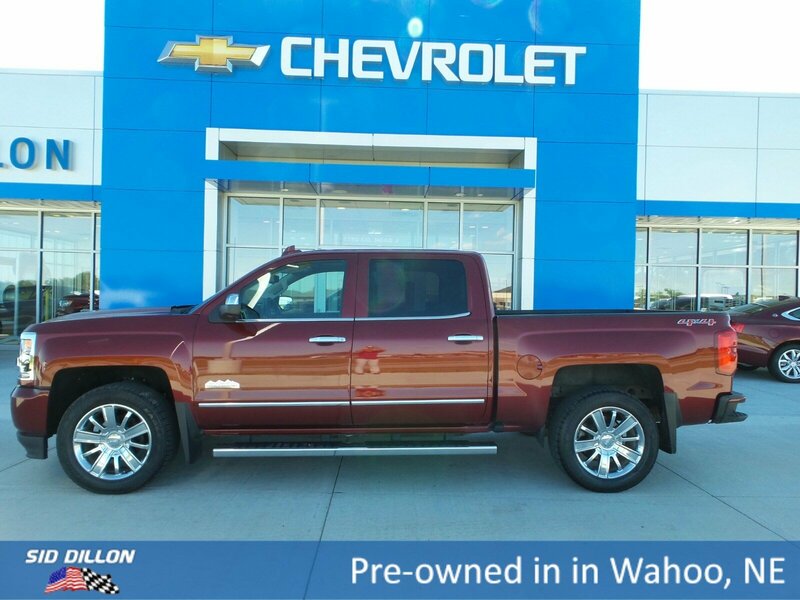 Check out this gorgeous maroon 2016 Chevrolet Silverado 1500 High Country! 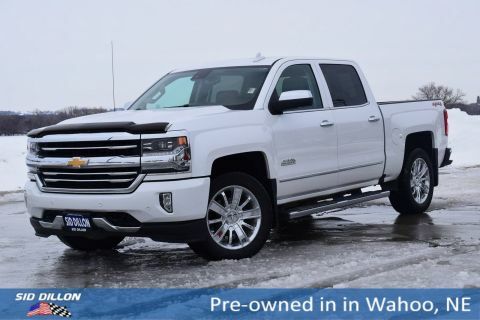 1-owner from Nebraska, no accidents have been reported to Auto Check! 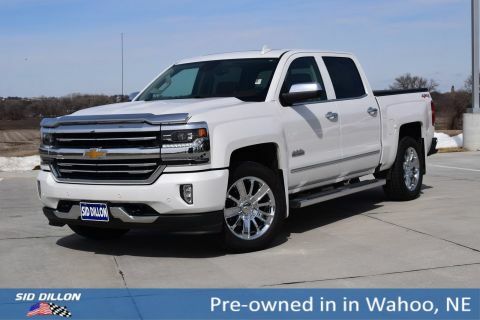 Features include: power windows, power door locks, cruise control, bluetooth, heated steering wheel, lane keep assist, forward collision alert, trailer brake controller, spray-in bed liner, tow package, power adjustable pedals, and more!